New Delhi, Apr 26: The National Investigation Agency finds itself in a tough position today. It is never easy to probe cases which have taken u-turns and more importantly mired in political controversy. There has been a war of words that have broken out in almost all quarters about the Samjautha Express and Malegaon blasts case. Samjhauta blasts: Which confession do we believe? October 2008- We carried out the Samjhauta blasts with the help of Pakistani nationals says Safdar Nagori, the head of the radical faction of the Students Islamic Movement of India. January 2011- I read about the in the newspaper. 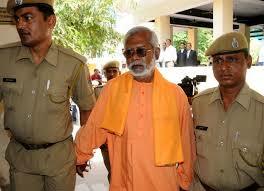 I asked Sunil Joshi and he told me his men carried out the blasts- Swami Aseemanand an accused in the case. Ironically both have denied making such statements. They state that they made these confessions to the police under duress. The point however is that how does one case have two set of accused? Author Vicky NanjappaPosted on April 22, 2016 Categories TerrorismTags oneindia.com, Safdar Nagori, Samjhauta Express blasts, Sunil Joshi, Vicky NanjappaLeave a comment on Samjhauta blasts: Which confession do we believe? Pakistan will raise the Samjhautha Express blasts case when its National Security Advisor visits India. Pakistan says that the blast which claimed several lives of Pakistanis was carried out by Indians and hence would want details on the trial. An official informed OneIndia that the response where the Samjautha blasts case is concerned is ready. The trial is on track and all the accused are in jail and not roaming free, India has stated in a response which would be handed over to Pakistan.